Mick Ashall, Director at B&M Waste Services, warns Greater Manchester Chamber members of the importance of compliance with new waste regulations. At B&M Waste Services, we are continually working to ensure the service we offer is at the cutting edge. 2014 saw the introduction of our new Refuse Derived Fuel facility, furthering our commitment to zero waste to landfill by generating energy from residual waste. Our ethos is to always ensure that both cost efficiencies and the environment are at the forefront. The underlying principle of TEEP is to improve the quality of recyclable materials to continue to develop the resource recovery sector and progress the principles of a circular economy. B&M already offer separate collections of paper, card, metal, glass, plastics and food in compliance with the waste hierarchy. Our highly trained waste auditors can assess your waste, checking for both non-conforming items to ensure you do not breach your Duty of Care, and also looking for items that may be recoverable. TEEP applies to all commercial businesses and at B&M, we are here to help you comply with this regulation. Is it Technically Practicable? For example, you may have limited room for waste and recycling containers, therefore a mixed recycling container (of paper, card and plastic film) may be all that can be accommodated. Is it Environmentally Practicable? Is there an added positive environmental benefit? An example: if you have a small amount of plastic bottles that are not separated at the moment but could be in a separate container, this would give a recycling benefit. However, this could be at the expense of virgin materials being used in making more containers and the fuel to undertake the separate collections. Therefore, the benefits need to be weighed up carefully. Is it Economically Practicable? Would the segregation result in an excessive cost in comparison to a non-separated waste stream? There is normally a benefit in terms of cost per tonne on most recyclables over a general waste stream. However, this should be balanced against the cost of more containers and separate collection costs (i.e. fuel and wages). Please bear in mind, this is not the kind of recycling you do at home. A lot of customers may have small volumes of canteen waste (e.g. yogurt pots, empty food tins) but often, these do not make up a substantial enough volume to pass any of the three tests noted above. This is a general introduction to TEEP. If you feel that your waste streams, or type of waste, may warrant an audit please contact us on 0808 100 2434 or visit www.bagnallandmorris.com. 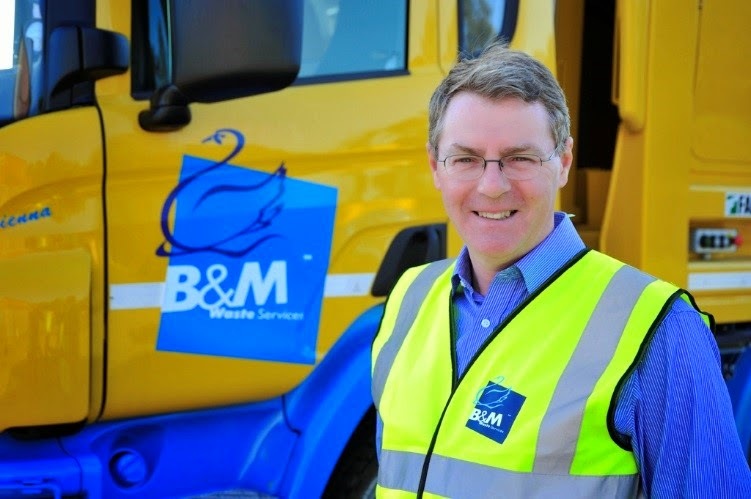 What’s more we aim to reduce your current waste bill by up to 10% if you decide to switch to B&M waste services for your business’ waste management.